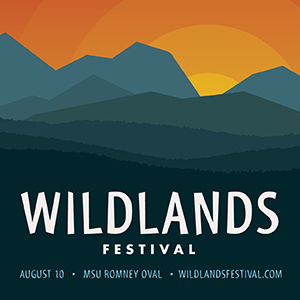 In an effort to celebrate Montana's wild and open spaces and support the non-profits that work to protect them, Outlaw Partners will produce the inaugural Wildlands Festival concert at the Romney Oval on the campus of Montana State University on August 10, 2018. The concert will feature dual-headliners, acclaimed singer-songwriter Robert Earl Keen and country-rockers Lukas Nelson and his band Promise of the Real. A portion of the proceeds from the event will benefit Gallatin Valley Land Trust, Montana Land Reliance, and Yellowstone Forever—three nonprofits whose missions align with the festival's ethos. The Wildlands Festival will bring people together who share a love of nature, outdoor recreation, parks, trails, and the enjoyment of what makes Montana special. The event will celebrate the state's wildlands, and will be an opportunity for concert-goers to support the spaces that they cherish, while enjoying live music in a picturesque outdoor setting. A percentage of all ticket sales and sponsorships will be directly donated to the three nonprofits chosen to benefit from this year's event.